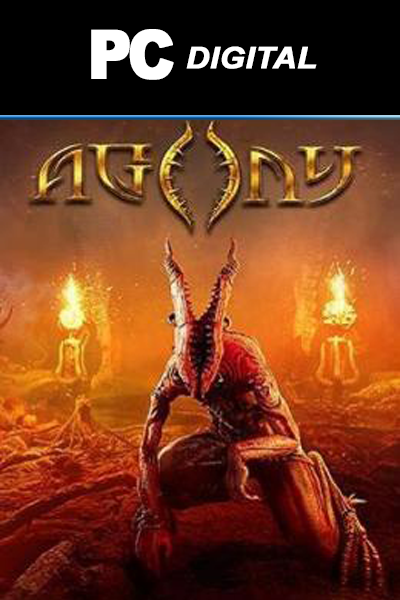 AGONY FOR PC is a digital code with no expiry date. Once bought, this downloadable code will be delivered directly to your email address with no shipping cost. We at livecards.co.uk sell some of the gaming industry’s cheapest AGONY FOR PC codes. Our cheap prices are a direct result of us purchasing our digital codes in bulk at a discounted price, which we in turn pass onto ‘you’, our customer. Our codes are 100% legit as they are sourced from official licensed suppliers. Our 24/7 Live Chat support are always at your beck and call in case you have any questions about our AGONY FOR PC codes. How to buy Agony PC? Livecards.co.uk makes buying Agony for PC as easy as pie! All you need to do is fill in your email address, pick a payment method, complete the payment and voila! The code is yours. DEUS EX: MANKIND DIVIDED is available right here at livecards.co.uk for the best price. Within a few seconds after your payment you will receive the digital code on your screen and to your email inbox (don't forget to check your junk folder if nothing appears!) If you have questions, you can ask our Live Chat 24 hours a day.